Welcome to my blog today, I hope you will stay and look around. Shape EZ is our sponsor this week!! How fun is that!! The templates work with some of your cutting machines but my machine is my right hand! lol It was very easy to do. My paper is from SU wood grain. I put a gingerbread man sticker on first and then created the ovals from SU punches. The sentiment is a sticker from Simple Stories (last years Christmas line). I also added a green mesh ribbon too. A bit of distressing with DI in Vintage Photo and Black Soot. Here are the stickers on the back of the pouch. I doodled around them with a Zig pen.05. In order to keep the pouch closed, I made 4 small holes and put a ribbon through them. I put a very small bag of candy in it for a very small gift. The tag was copied on white paper and distressed with DI Vintage Photo and Black Soot also. 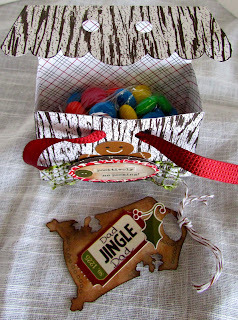 I added some stickers from Simple Stories to the tag and tied a twine ribbon. 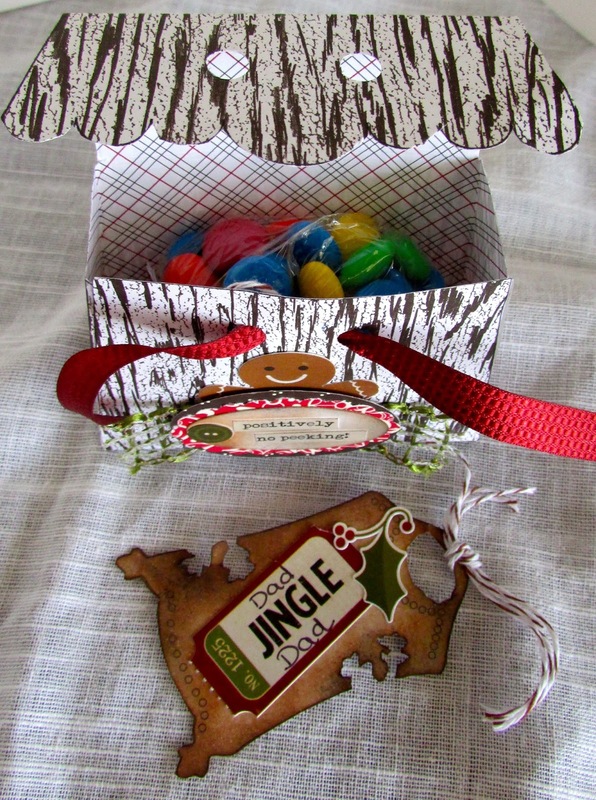 I hope you enjoyed the gift pouch and tag set. Please go to the Diva's By Design Challenge Blog and see what the other Design Team girls made with their Shape EZ Templates. Thank you for stopping by and visiting with me today, I really enjoy your comments. This is fabulous Kelly, gorgeous details. I almost missed this. I can not keep up with you. You are a creating machine and this is a gorgeous duo! Just wonderful, Kelly - I love the distressed tag, brilliant lettering and the fab weathered woodgrain background. I'm not one for Christmas before December - but it seems like we're all at it at the moment! Wonderful!! Looks like bark in the backgourn - I love it!